Home CDN , children , crafts , feature , holiday , holidays , homeschool , January , papercrafts , printables , US , worldwide January 2nd - Positive Postcard Freebies! January 2nd - Positive Postcard Freebies! -- Positive Postcard Day was created to remind you to join the Positive Postcard Project which affirms your most positive traits. Here's how Positive Postcards work... First, write down seven positive traits about yourself. Next, obtain seven postcards. Write a note to yourself about each trait on a different postcard. When you are done, you will have seven postcards, each with a note to yourself about one of the positive traits you listed. -- Twenty-four all-occasion postcards featuring the cheerful and vibrant artwork of Brazilian artist Romero Britto in a unique collection celebrating love, peace, and friendship. Write personal notes to spread happiness and cheer to those you love and care about! 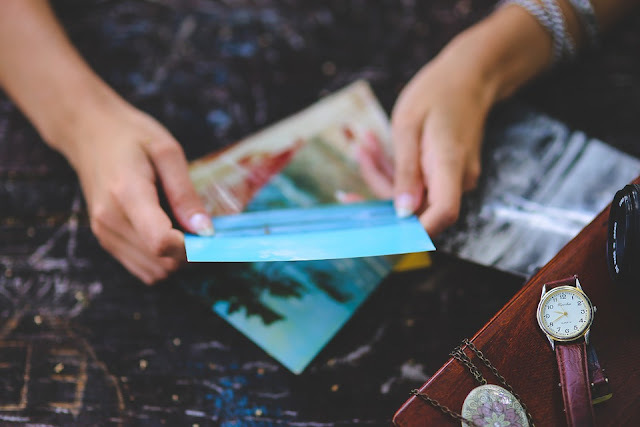 Marginal prompts accompany each postcard, guiding you to reflect on the people in your life who mean the most to you and encouraging you to share how you feel. • Post card variety pack -- 50 different and random postcards of various themes: animals, Fun Facts, Keep Calm, maps, vintage, national parks, scenic views, illustrations, coffee, sweets, etc. Each set is different from another and the image shows just an example of what the postcards could be. This set is a variety pack sample of many of their popular postcards. • Motivational Quote Cards -- These keepsake cards feature highly motivational quotes from some of the greatest minds in history; from Leaders to Entertainers, to folkspeople, the eloquent words of Shakespeare, Lincoln, Washington, and Pope John Paul II offer hope, wisdom, and positivity. • What is Positive Postcard Day? - Be creative today. Use this day to try and test new ideas and concepts. Don't limit the ideas to business applications. In your personal life, try out a new dress or clothing style, perhaps a different haircut. Or, maybe buy a new house flag and run it up the flagpole to see if anyone salutes... or even notices. - Cream puffs are rich desserts around since 1880 in the United States. However, the first cream puff originated sometime during the 1540s in Europe when Catherine de Medici's pastry chef created the baked puffed shells for her husband, France's Henry II. - Celebrated by enjoying a day of science fiction fun - such as watching science fiction movies, watching history on UFO's and even having some classroom fun by having a science fiction day at school. We are encouraged on this day to make ourselves aware of the possibilities of space, our universe and the idea of aliens. - Felines have a day for themselves to celebrate the mewness of a new time. - Boo-Boo Bear is a Hanna-Barbera cartoon character on The Yogi Bear Show. Boo-Boo is an anthropomorphic bear cub in a bow tie, of uncertain relationship to Yogi Bear, who often acts as Yogi Bear's conscience. He tries (usually unsuccessfully) to keep Yogi from doing things he should not do, and also to keep Yogi from getting into trouble with Ranger Smith. - Kevin L. McCrudden founded National Motivation and Inspiration Day as January 2nd of every year and had H. Res 308 passed by The United States Congress on December 18, 2001. It is intended as a day for people to create reasonable goals they can establish for the year, like New Year's Resolutions and make a plan to complete them. - Today marks the anniversary of the 55 MPH speed limit on highways, made law by President Nixon on January 2, 1974. This caused a bit of controversy back then, but Nixon ultimately signed the bill to conserve energy during the oil crisis in the '70s. The idea behind the law was to improve driving efficiency. - Recorded in 1941, a major hit for The Andrews Sisters and an iconic World War II tune. This song can be considered an early jump blues recording. The song is ranked #6 on Songs of the Century. - President Benjamin Harrison welcomes Alice Sanger as the first female White House staffer on this day in 1890. Alice Sanger's appointment may have been an olive branch to the growing women's suffrage movement gathering momentum during Harrison's presidency. - In 1936, AEG was ordered to start the development of infrared night-vision devices and in 1939, the first successful prototype unit for use with 37mm Pak 35/36 L/45 anti-tank gun was constructed. In autumn of 1942, unit for use (infrared headlamp with viewer ZG 1221) with 75mm PaK 40 L/46 anti-tank gun was constructed and was also mounted on Marder II. - In 1913 a group of the National American Women's Suffrage Association split off and named itself the Congressional Union for Woman's Suffrage. The union established branches in nine states, including Texas, in 1916, before merging with the National Woman's party the following year.